There is no disputing the fact that WordPress has successfully emerged out as the king of all content management platforms around and is not going to give its throne in anytime soon. The flexibility, the compatibility, and ease of use is amazing. Moreover, the free of cost availability and SEO friendliness are the premier reasons why WordPress is considered to be the best web development platform for small and large enterprises alike. However, there are hundreds and hundreds of different factors that contribute to making a website successful in the long run. The fact is that majority of businesses today have websites and that mostly built of WordPress; though, very few among them actually deliver the prospects of online presence. Building a responsive website and getting a lot of traffic on the product pages may not always help with the conversions and retaining customers. Today, customers demand more control over the buying process, and that is why it is crucial for marketers and business owners to take a step forward and come up with innovative ideas to live up to the expectations of their target audience. This is where “User Engagement” kicks in; it helps users stay longer on your website, minimize bounce rates and eventually converts them into leads. And user engagement is not something that happens by virtue of luck but instead is an outcome of an exceptional and differentiated website experience. Ensuring a fanatic user engagement can certainly help your website accentuate itself from the saturated market and will also provide you a competitive edge. The reasons to thank WordPress are many. 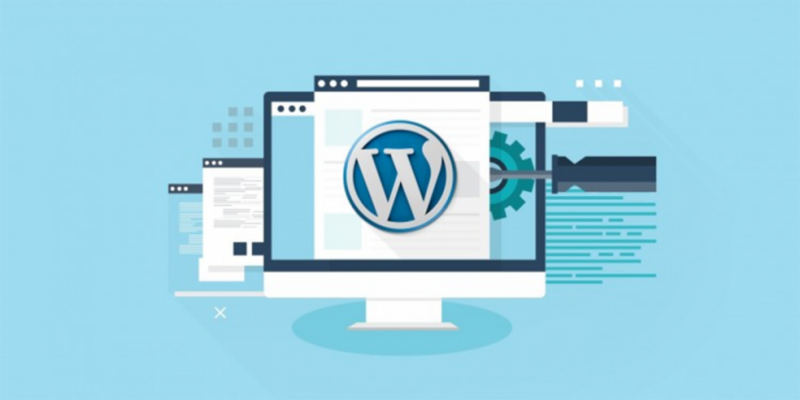 With WordPress, you have got a lot of opportunities which if optimized accurately can result in excellent user engagement and decreased bounce rates. In this article, we are going to highlight 5 best practices to increase user engagement on your WordPress website. An average internet user takes less than 3 seconds to decide if he/she is going to stay or not. Provided with such a limited time window, it is very hard for marketers to convince the visitors to stay longer. The best way to capitalize those 3 seconds is to clean your website design and go for a minimal structure. Take the most important part of your content upfront and remove the unnecessary and less desirable content as it may annoy users. Fold the areas of your website in a way that it sets perfectly well on every view port; primarily on mobile phone screens. In order for all this to work, choose a simple and well-coded WordPress theme while creating your website. Moreover, make your website easy to use and navigate and the content you feed to your visitors should be relevant. Experts say when a user instantly sees the useful and relevant part of the landing page; they tend to stay longer, and it leaves a positive effect on their subconscious. A fanatical navigation structure not only ensures an improved user experience but also increases the conversion rates by allowing your visitors to find their desired products on the website quickly and easily. The key to user engagement is a hassle free user experience and navigation is the most important part of it. The problem with most website owners is that they often undermine the importance of navigation. For them, it’s like a strange thing to worry about. Let me tell you this open and straight, navigation is the not just an important part of usability but is a factor that determines a website’s survival. It is an open challenge for you to name me one website, a single website that is doing good business with poor navigation. There is none. You can compromise on other things but not on navigation. The slightest mistake in navigation may irritate your visitors, and that will take a second to abandon your site. Here are some tips that you can use to improve engagement. Ensure every clickable image has ALT text. Also, make sure that you use user-friendly and engaging content in your navigation menu to provide a rich browsing experience to your users. Content is still the king in 2018, and interesting and engaging content is still the most reliable tool to improve user engagement (Source). High-quality images and HD videos are the most engaging form of content on the web, and they help your visitors connect and feel comfortable on your website. Humans are visual creatures and 90 percent of all information that we perceive, and that gets transmitted to our brains is visual. Images and videos influence your visitor’s subconscious and are more likely to give you a more significant return on your content marketing investment. However, some marketers in pursuit to attract users start to post irrelevant images and videos. This strategy may work for a while but is a complete failure in the long run. Moreover, it is also essential to ensure that picture and videos don’t disturb the hierarchy of your design when accessed on mobile phones, tablets or any other device. CTA’s are called Call to Actions for a reason. They are arguably one of the essential parts of usability, and they encourage users to do what you want them to do. Without clear and definite CTA’s your website is like a jungle without a map. CTA’s are the perfect tool to drive user engagement. They not only add value and juice to your website but also increase click rate and time spent on your website and help in securing conversions. Here are some tips that make your CTA’s more engagement savvy. In my counseling sessions with web developers, I always raise this point to design the website from an emotional perspective. Emotions drive user engagement and influence the buying decisions. I believe it is the responsibility of marketers and SEO guys to help web developers in creating emotions on the website. The key is to do lot more research about your target audience and think about perception, not composition. Start by asking yourself a few vital questions about how your users are feeling, then you can certainly go a long way to pleasing them. Show your human side by giving users a more personalized experience. Live chat is a powerful tool to provide a personalized experience and prevents customers from closing your website when they feel confused about your products or services. Similarly, you can use blogs, polls, webinars and also take social media buttons to your advantage. Giving a rich user experience on your website has many advantages. Certainly, you can do a lot of more things to improve user engagement. These are just the basics. However, it is important for you to take a grip on these fundamentals as they improve user engagement and make your site optimized for Google and other search engines. Asad Ali is an experienced digital marketing expert having more than 7 years of experience in web design industry. He is currently working as a leading executive for GO-Gulf – a Dubai web design company. His specialties include eCommerce SEO, user experience & conversion optimization. You can reach him on LinkedIn.